Nissan says a future where cars drive themselves is due to arrive by the end of the decade, collectively boosting the hopes and dreams of science fiction fans everywhere. Nissan CEO Carlos Ghosn made the announcement at the company’s U.S. headquarters in Irvine, California, stating that the Japanese automaker is already hard at work constructing a dedicated proving ground in Japan for autonomous vehicle testing, which is slated for completion by the end of 2014. The company announced that it plans to develop multiple, commercially-viable autonomous vehicles and brand the technology under the company’s Autonomous Drive name by 2020. 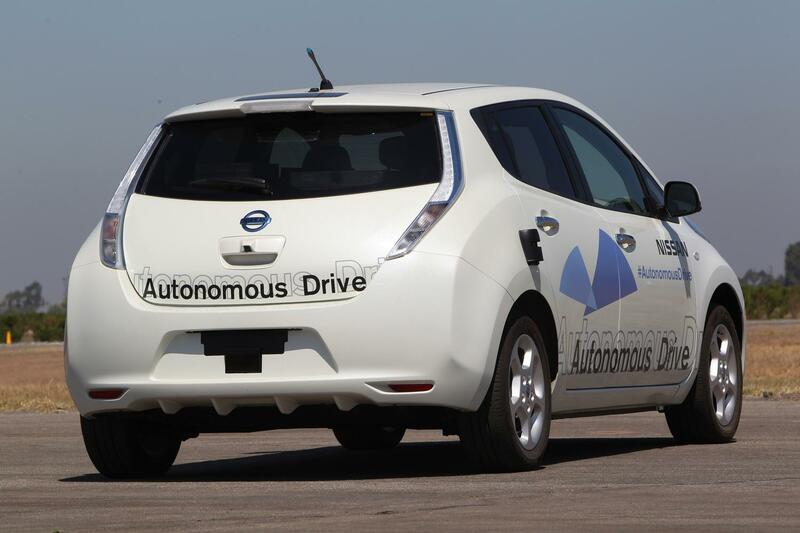 Research projects with some of the world’s top universities including MIT, Stanford, Oxford, among others have been underway for a number of years, with Nissan even going so far as to outfit its popular all-electric Leaf with a number of autonomous technologies. Laser scanners, Around View Monitor cameras, as well as advanced artificial intelligence and actuators, have been installed in Nissan LEAFs in an effort to test out complex real-world driving scenarios. While convenience and brand profile surely play a large role in Nissan’s push for autonomous vehicle technology, the company’s primary motivation is said to be safety. According to figures given by Nissan, six million crashes in the U.S. per year cost $160 billion and rank as the top cause of death for four- to 34-year olds, with 93 percent of accidents in the US due to human error. Autonomous Drive is an extension of Nissan’s Safety Shield technology, which if you’re unfamiliar with is a suite of semi-autonomous safety options such as automated brake assist and a 360-degree monitoring system already available in a number of Infiniti models like the QX56 and the JX35. Using Safety Shield as a platform to jump from, Nissan’s aim for vehicles outfitted with Autonomous Drive is to perform a myriad of tasks without any sort of driver input. Ostensibly, this means a car that could drive autonomously on a highway, sticking to or changing lanes and avoiding collisions. Nissan also plans on integrating its vehicles with a standard in-car navigation system so the car knows where and when to make turns in order to reach its programmed destination. Ambitious and optimistic doesn’t even begin to sum up Nissan’s vehicle autonomy strategy, but what is perhaps most remarkable is the company’s claim that the technology will available at “realistic prices for consumers.” What exactly Nissan’s take on “realistic prices” is remains to be seen. But if it can successfully introduce and execute autonomous vehicle technology on a mass market scale while keeping costs affordable for consumers across a wide spectrum, then Nissan will easily leapfrog its competition as the most technologically advanced automaker out there. And as great as Nissan LEAFs are, being driven around in one is infinitely better than driving one yourself. Here’s to 2020, Nissan. We’ll keep our fingers crossed and watch for updates.